Join us for a walk through the grounds of the Badminton Estate. Bring your picnic, refreshments we be available, all proceeds going to MNDA Gloucestershire. Treasure Hunt for young explorers! Routes suitable for wheelchair users. Suitable for all the family, pushchairs and children’s scooters welcome. Dogs on leads. To register via email, contact MNDA Gloucestershire’s: [email protected] or 01452 311150. £10 suggested donation (which includes access to the grounds and certificate of recognition). Sponsorship welcomed. PLEASE PAY YOUR ENTRY VIA: www.justgiving.com/fundraising/mndagloucestershire and bring your receipt as proof of entry. If you have received your entry form in advance please complete in full before you arrive, to save time. One form per family. Routes suitable for wheelchair users. Suitable for all the family, pushchairs and children’s scooters welcome. Dogs on leads. This entry was posted in Awareness, Fundraising, Group news on July 16, 2018 by Gareth Weaver. Come and grab a bargain at the charity clothing sale of the year! Selling everything from vintage and high street to high end and designer, you’re bound to find something that takes your fancy. Plus you’ll get 20% off the bar with every purchase! Proceeds raised go to the money for the Motor Neurone Disease Association. It is a cause very close to our hearts so let’s raise lots of money and awareness! Hosted by Isabelle Hardy and Jessica Hardy. Follow their Facebook Event page. This entry was posted in Awareness, Fundraising on April 12, 2018 by Gareth Weaver. The MND Association is saddened to learn the death of Professor Stephen Hawking, Patron since 2008. Our thoughts are with Professor Hawking’s family. 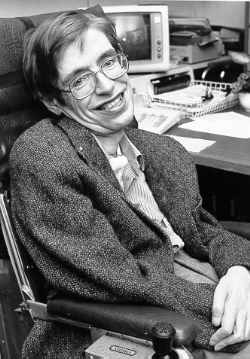 Throughout his inspirational life Professor Hawking played a vital role in raising awareness of motor neurone disease around the world. This entry was posted in Awareness, National news on March 14, 2018 by Gareth Weaver.